The I Ching (pronounced ee ching), or Book of Changes, is one of the Five Chinese Classic Texts. The text is packed with wisdom, and once you know how to read the I Ching, you can use it to provide daily guidance or consult it when you have a specific issue. While you can read the I Ching from cover to cover like you would any other book, it works best when used as an oracle for divination and guidance, which is a form of bibliomancy. To do this, you toss coins to determine which section you should read based on the casting of the coins. To determine which section to read, with your question in mind, toss three coins six times. For each toss, the heads/tails pattern determines whether to draw a yin, yang, or changing line, which create the lines of each trigram. The trigrams are the same used for the five elements found in Feng Shui. You will end up with two trigrams at the end of your six coin tosses. I Ching translations contain a look-up table at the front and back of the book to determine a pattern of yin and yang responses that become hexagrams, or sets of six yin and yang lines. Consult the lookup table and locate your first trigram in the vertical column and your second trigram in the horizontal column. Find the hexagram where they intersect, which will give you a section number. Turn to that section and read the text, which will symbolically answer the question you have using ancient wisdom. What Is the I Ching Used For? There have been many translations of the original Book of Changes, resulting in different interpretations of this great work. Some modern translations have changed the text, leaving out important sections that provide imagery essential for you to draw your own personal significance from the reading. The words of the I Ching are meant to open your mind to a creative interaction with the meanings of the hexagrams. Therefore, it is helpful to use more than one translation of the I Ching in order to get a fuller picture of the answer to your question. Many people who work with the I Ching consult two or three translations each time they cast the coins. 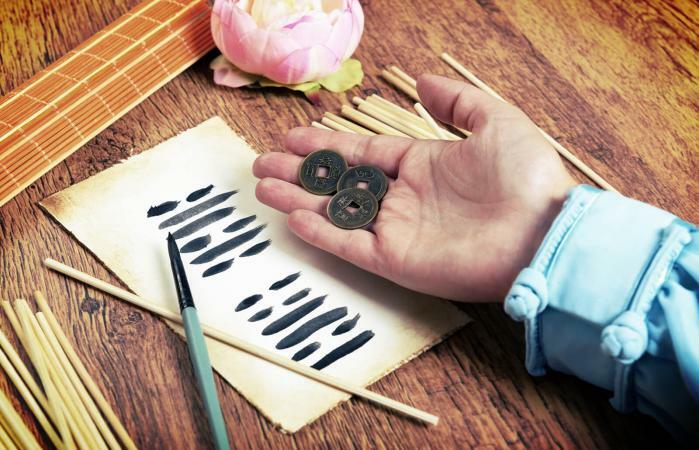 Learning how to read the I Ching may seem confusing at first, but once you gain an understanding of the text, it is an oracle you will surely enjoy. Although the wisdom is ancient, it still applies in a modern world.